John W. Howell was the youngest of the three sons of Richard Howell and Sarah Winfield Howell of the Rocky River area of the Anson/Stanly County border in North Carolina. He and his brother Jordan, after an obvious education, decided to relocate to the growing market town of Cross Creek, or Fayetteville, North Carolina in the southeastern part of the state, where they would become businessmen, in about the early 1820's. In fact, they lived not far from a road that ran from Salisbury to Fayetteville, called the "Throughfare". Both brothers married widows from up north, once they arrived in Cumberland County, the two widows may have even been related. Jordan married the mysterious Mrs. Hannah Handy, who had no obvious children, while John W. Howell married Clarissa W. Pearce, widow of merchant Nathan Pearce, who was the mother of 8 children and a very highly esteemed lady in her community. Jordan and Hannah had three known children and perhaps another son. The known children were Jordan Lafayette Howell, Clarissa Howell who married Jeremiah Broadway of Anson County and Charlotte Howell who married Allen Newsome of Davidson County. Clarissa Pearce Howell and John W. Howell passed away in the same year, perhaps from the same malady. Clarissa was first, in April. John W. Pearce, son of Clarissa and stepson of John W. Howell, was the minister of the estate of John W. The following ad ran for several months in the paper soliciting heirs of the estate. Who were they and where were they? John's own obituary did not mention any heirs, only his benevolent wife. After the passing of both John W. Howell and his wife, his stepsons call for heirs did produce heirs, but not children. The heirs that came forward, via their lawyer, Warren Winslow was Levi Stancil, Charlotte Stancil and Peter Howell, brother-in-law, sister and brother of John W. Howell. As John W. Howell's wife, Clarrissa Winslow Pearce Howell's maiden name was Winslow, the attorney Warren, was very likely related to her somehow. "This indenture made the 29th of June, 1857, between Levi Stancill and Charlotte, his wife and Peter Howell of the first part, acting through their attorney, Warren Winslow and John W. Pearce of the second part,.....being the lawful successors or heirs of John W. Pearce, deceased. " 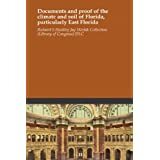 This one document was 9 pages long and involved personal property and nearly 30 tracts of land. I want to inspect the land records more in depth later. Three of them involve Peter. His little brother made him a wealthier man than he already was. The point is that at the time of his death, John W Howell had no children as heirs. The persons whom John and Jordan did business with were impressive, with far reaching influence. These were not isolated country bumpkins running a store or business. Fayetteville was a busy and international center of trade. A deed dated December 1828 between Richard S. Hackley and Jordan and John Howell states that for $1500, in hand, Richard S. Hackley "of New York", sells to them a tract of land in Florida, above the "Big Swamp" and bordering a tract with a black house belonging to the "Deerfield family of Indians", and also bordering the land of "Indian Tom". The deed was witnessed by Dillon Jordon, Jr., John A. Strode and John Black. In fact, the brothers did quite a bit of business with Richard S. Hackley. The next deed following this one was actually dated earlier, in November of 1827, between Jordan Howell and Hamilton Donaldson for a tract on Hay Street in Fayetteville joining John Jarrett or Jarrott. This shows the relationship between the Howells and the Jarretts as one of neighbors. The deed registered immediately preceding that one was another between Richard S. Hackley and Jordan Howell, alone this time, on March 15 1826, Mr. Hackley being "of the city of New York and the state of New York", lot 5 in the City of Fayetteville. Apparently Mr. Hackley had owned this town lot for some time. But who was he? 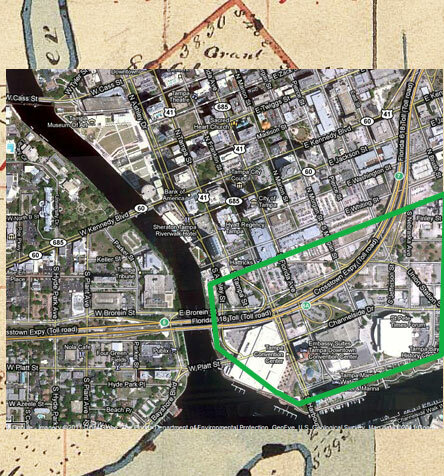 For one, he was one of the first investors in Florida and founder of the city of Tampa. And a very important businessman in the early decades of the 19th Century. Richard S. Hackley, who died in 1843, married Harriett Randolph. Her brother, Thomas Mann Randolph, Jr., had married the daughter of Thomas Jefferson. Richard S. Hackley, among his other appointments and services, served as a U. S. consulate to Spain in 1806-1816. The descendants of Jordan Howell's (brother of my GGGGreat Grandmother's first husband Richard) son, Jordan Lafayette Howell, claim kinship to Varina Howell Davis, last wife of Jefferson Davis, and therefore to Richard Howell of New Jersey, who served as Governor of that state. With the impressive business and associate connections of the Howell brothers in Fayetteville, I can no longer doubt creedence to that claim. Now to only find the lineage connections. This might even verify the old family rumor of kinship to Jefferson Davis himself, by Job Davis, Sarah Winfield Howells second husband. It has been well-documented that her family tree leads to the Wingfields who co-owned the Jamestown Company, a trading firm that basically founded Jamestown, Virginia. There are no tellings where this familial trail may lead.